In preparation of our tenth birthday, Grades of Green would like to take the opportunity to thank everyone who has made our vision possible. From the Eco-Leaders taking action and bringing change to their communities, to the generous donors and sponsors who ensure all Grades of Green students receive the environmental mentorship they deserve; we are so grateful to work with each of you. We look forward to celebrating 10 years of eco-change with the community that sparked a global movement at VERTE 2019! We have several surprises in store that you won’t want to miss, including a Global Tasting Menu from Chef Sabado, Illusionist Luke Brady mesmerizing the crowd, a live performance from Manhattan Beach’s own Joe’s Band, and now specialty cocktails and a tequila tasting from our friends Nosotros Tequila! A proud sponsor of VERTE 2019, Nosotros Tequila will be mixing up specialty cocktails inspired by Grades of Green. The “World’s Best Tasting Tequila” and Double Gold award-winning juice is the result of blending two agave regions to create a taste profile that is both unique and delicious. Their sustainably-sourced highland agaves give Nosotros a sweet and citrus introduction while lowland agaves bring an herbal finish, truly one of a kind. The name Nosotros comes from enjoying premium tequila with family, friends, and loved ones. 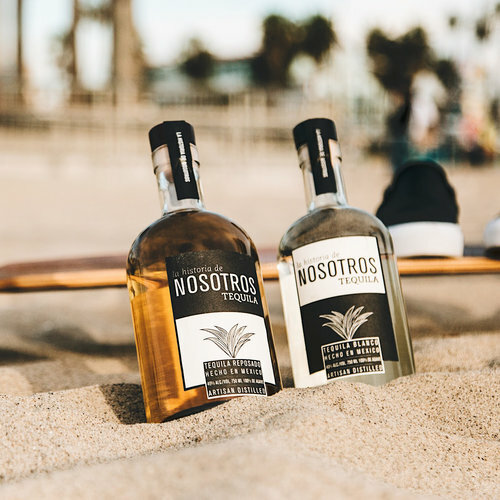 Located in the heart of Hermosa Beach, CA, Nosotros reaches its global community through a 1% donation of all revenue to Waves for Water, an NGO that focuses on disaster relief by providing clean drinking water to those in need. Continuing their conservation efforts, Nosotros is pleased to lend its support to Grades of Green. Nosotros Tequila is sure to shake things up at VERTE 2019. Miss this and you’ll be green with envy. Limited tickets are still available, click here to reserve your seat today.